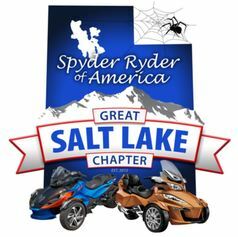 This site has been established for the Spyder Ryder of America - Great Salt Lake Chapter of Northern Utah. Site contains club information, photos, events, and ride details. 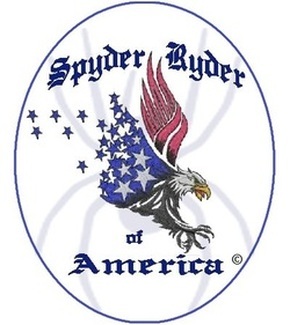 Spyder Ryder of America is a National Can-Am Spyder riding club with over 25 chapters located nationwide consisting of more than 1,000 members. This chapter was founded by members in July 2015 in the County of Salt Lake, and the By-Laws were established November 2015. A copy of the Chapter Charter and By-Laws can be viewed on this site. In mid-July 2018, three-wheeled riders from all across the country headed out to converge on Deadwood, SD for the largest three-wheeled event in the country. The 4th Annual 3 Wheeler Motorcycle Rally in Deadwood featured rides and scenery as seen during the famous Sturgis motorcycle rally held every year - but without the huge crowds. The SRA Great Salt Lake Chapter had several large groups ride up and attend this ever-growing event! If you missed it, they are already taking reservations for 2019! Don't miss it!!!! A report and photos from the 2018 event can be found by clicking the D3WR logo. More rides may be added throughout the season. Events in green have no launch location because we just show up at the event location detailed below. Rides in purple details to include launch location, launch time, estimated mileage and estimated time are listed below. JAN 13 (SAT): Executive Officers Meeting with Ride Committee Spokesperson and Ride Captain @ noon. JAN 13 (SAT): Executive Officers Meeting to review preparation for upcoming season @ 1PM. FEB 3 (SAT): First quarterly membership / ride committee meeting at Golden Corral @ 10 AM. This is a “social event” and we will meet at (1:PM). Going north on Legacy Highway in Davis County, take the Park Lane exit. At the light, go left (West) on park Lane to the first light where you will see Cabela’s on your right. R&R BBQ is in the Cabela’s Parking lot. (Between Cabela’s and McDonalds). We will be meeting for BREAKFAST at Penney's Grill (7760 Highway 36, Stockton, UT) at 09:00. Afterwards we will take UT-36 South through Vernon towards Eureka where we will pick up US-6 and head east. We will then pick up UT-68 North and head up the west side of Utah Lake into Lehi and end at the Musuem of Ancient Life located at 2929 (or 3003 depending on which site you look at) N. Thanksgiving Way. There will be at least one comfort and/or scenery stop along the way. The ride will essentially be a U shape around Flat Top Mountain. The ride will be over at this point at which time hopefully all in attendance will join us inside the museum. Admission is $20 for adults, $15 for seniors. ​APR 28 (SAT): The Golden Spike Ride sponsored by Lowell. The date is Saturday, April 28th (Backup date MAY 6th). We launch from Barn’s Park in Kaysville at 9 am. The rest of the details went out in last Sunday’s (4.15.18) newsletter. Counts have already been turned in. Estimated Time from Launch to destination. We will launch this ride from the Honda/Suzuki Dealership on State Street, a block North of I-80 at 9am. We will travel to Kamas where we will top off our tanks, grab a cup of coffee and use the restrooms. We will leave Kamas on Hwy 150 North-east, stop a couple of times along the route and arrive in Evanston for lunch at or about noon. We will take on fuel and eat in Evanston with multiple options to choose from. Our return route will be by I-80. We will stop at the Utah’s big Visitor’s Center about five miles North of the I-84 split. This will be our official end/destination since our group will likely split up from there to return home. Some will take I-84 into Weber and Davis County. Some will continue on I-80 into Salt Lake County. Our ride should cover just under 200 miles in about 6 hours including fuel, food and restroom stops. JUL 29 (SUN): Wolf Creek Pass (Ride Sponsored by Carter). We will launch this ride from the Honda/Suzuki Dealer on State Street, one block north of I-80 at 9am. We will travel to Kamas where we will top off our tanks, grab a cup of coffee and use the restrooms. We will travel South to Francis on Hwy 32, take Hwy 35 to Tabiona, take Hwy 208 south to Hwy 40, take Hwy 40 west past Strawberry Reservoir and arrive in Heber City around 2pm for lunch. Heber City will be our official destination/end of the official ride. We recommend bringing trail snacks and water to consume at rest stops. We will have covered just under 200 miles in five hours to include fuel and restroom stops. Heber is our destination because we have multiple routes to use returning to the Wasatch Front depending on where we live. This is a “social event” pot luck picnic with yard type games at a park pavilion. Drinks and games will be provided by the club officers. To get to Barnes Park, take Legacy Parkway through Davis County, intersect I-15 North and travel to the Kaysville exit (Exit 328). Go west to the light where you see Barnes Park on your right, turn right (north) and look for our bikes. The launch location will be the McDonalds next to Cabela’s in Farmington where we met for our BBQ Event in the spring. We will meet at 10: AM, travel east on Park Lane to Highway 89 North, Go North to I-84 and East to the Mountain Green Exit. We will go under I-84 and east on frontage Road to Trappers Loop, north on Trappers to the Snow Basin Ski Resort turn and go west to stop at Snow Basin for our first break. We will leave Snow Basin, travel east Trappers, travel north to Huntsville and east on Hwy 39 to Little Monti’s overlook lot. We will return to Huntsville where we will stop for lunch at the Shooting Star (Our official ride destination). After lunch, we will have the option of returning alone or breaking into groups. We can return to the Wasatch Front using routes according to where we live. This is a very popular “Dealer Event” (Poker Run) sponsored by High Adventure Power Sports. It is assumed that we will meet at Barnes Park in Kaysville at 8: AM. We usually take a loop to include Kamas before returning to a fully catered lunch at the dealership. These instructions keep referring to “usually” because High Adventure usually waits until August to announce the details of their event. We that have always attended, highly recommend club participation. Find out how to become a member of the Spyder Ryder of America - Great Salt Lake Chapter and get details on membership benefits.